Home Uncategorized ABIA LG Polls: PDP Assures fairness, releases timetable. ABIA LG Polls: PDP Assures fairness, releases timetable. In view of the upcoming local government elections slated to hold in the state on the 17th of December 2016, Abia State Peoples Democratic Party (PDP) has released a timetable for the Local Government Chairmanship and Councillorship primaries. According to the release, collection and return of forms for Chairmanship, Councillorship and three-man Ad-hoc delegates which started on 26th Sept, will end on October 10th 2016. Screening of aspirants will commence on 3rd Oct, ward congresses to elect councillorship candidates and three man Ad-hoc delegates is slated for 14th Oct while the local government Chairmanship primaries will take place on 18th Oct, thereafter the Appeal Panel will commence sitting on 21st Oct 2016. 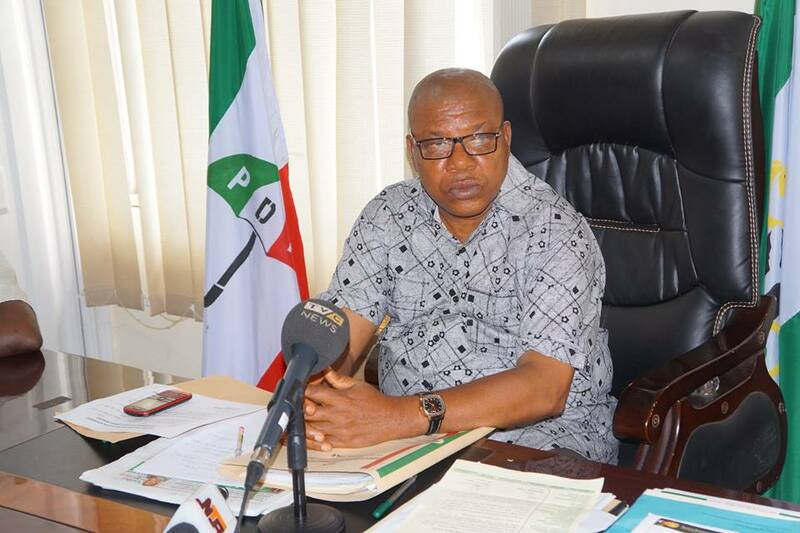 Briefing journalists at the Party Secretariat, the State PDP Chairman, Chief Johnson Onuigbo assured that the party will provide a level playing ground for all aspirants. He disclosed that the party will adopt option A4 in the forth coming election,adding that the election will be conducted in the 292 ABSIEC Wards in the state. “Anybody who wins becomes the candidate. No substitution of names after someone must have won. We are here to do what is right and just”, Onuigbo further assured. According to the Party Chairman, forms for the Local Government Chairmanship election cost N500,000, Councillorship 100,000 while Women are to pick their forms free of charge. He said the party is working hard to win all the 292 Wards as it has started sensitization and campaign in all the 17 local government areas of the state to ensure it emerges victorious in the forth coming polls.